Climbing courses begin with a certificate of competence. There are courses for the young climbers moving up, ranging from competence tests to movements and ability on graded walls. Ranging from New Boulderer at Level 1 to Performance Boulderer at Level 5, the main goal in these lessons is to develop climbing movement skills and improve levels of technical ability. 1. 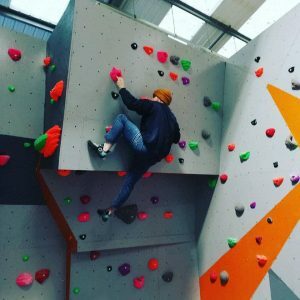 New Boulderer – an entry-level award for candidates who wish to learn about bouldering as a physical activity and how to use a bouldering wall safely. 2. 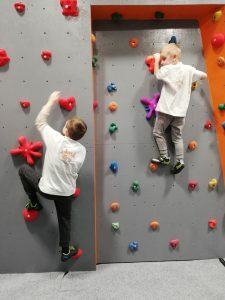 Foundation Boulderer – aimed at helping the candidate to understand how a bouldering wall works, basic preparation and control while bouldering, with an introduction to equipment and movement skills. 3. Competent Boulderer – corresponding to most bouldering-only centres’ “membership” standards. This is aimed at ensuring a candidate possesses the knowledge and skill to boulder safely at any bouldering facility and operate in a responsible manner. 4. 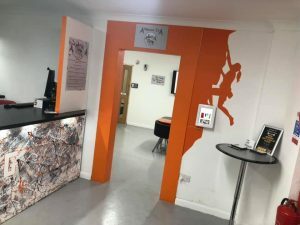 Skilled Boulderer – aimed at developing a self-motivated boulderer who has a wide range of skills and has reached a high level of competence, with a desire to progress by identifying and setting goals. 5. 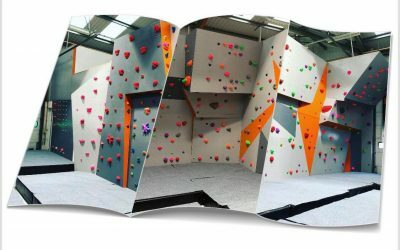 Performance Boulderer – the top-level award that focuses on improving performance, with advanced skills and knowledge of training and bouldering as well as experience of local and national competitions.